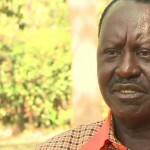 ODM future: Is â€œTeam freshâ€ the best bet for Raila â€™s 2017 presidential bid? 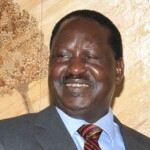 Team Ababu: This is what Raila can’t do now. 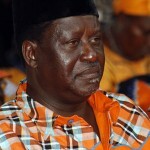 . .
Democracy will KILL Raila’s ODM Party, to survive the party MUST keep off democracy. This is the picture of Prime Minister Raila Odinga being assisted to climb the stairs to the podium to address residents of Kisumu who have been protesting since yesterday. 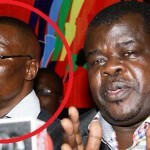 KTN and Jackal News online have decided to spin a careless propaganda. The truth stands! 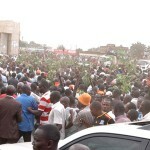 Raila gets warm reception from Kisumu residents, he encouraged them to practice religious and cultural tolerance.